In 2017, our political landscape isn't the only thing facing changes — home decor is making big shifts, too. 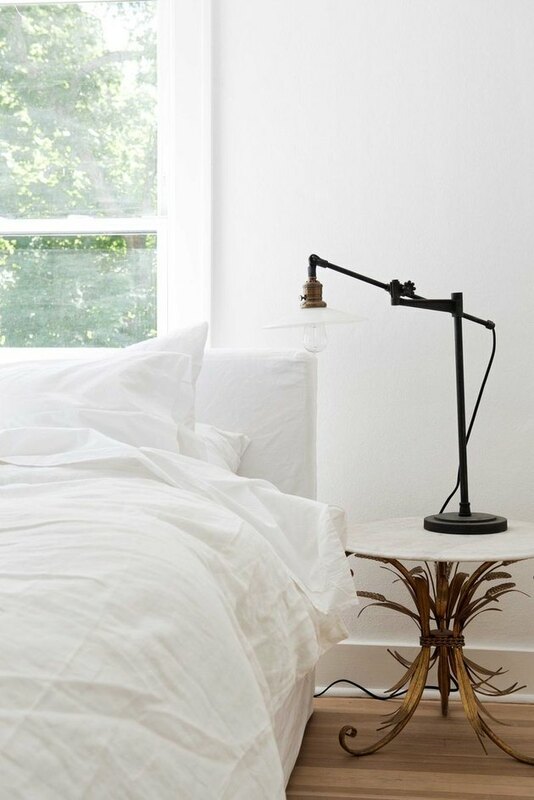 This year, accents with organic textures and sophisticated silhouettes with an edge will find their way into homes, taking the place of the mason jars and Parsons tables that have been dominating inspiration boards for months (all right, years). So say goodbye to longstanding looks, and say hello to fresh ideas. 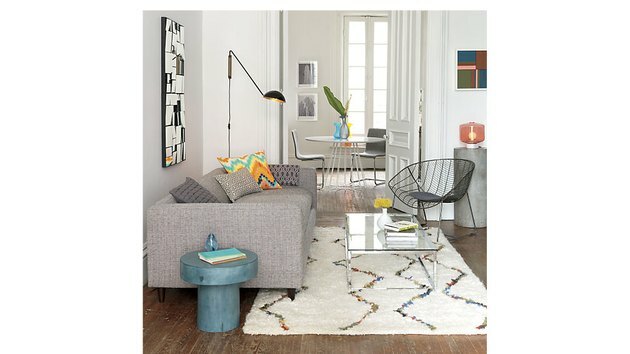 These are the trends that are gaining momentum this spring. 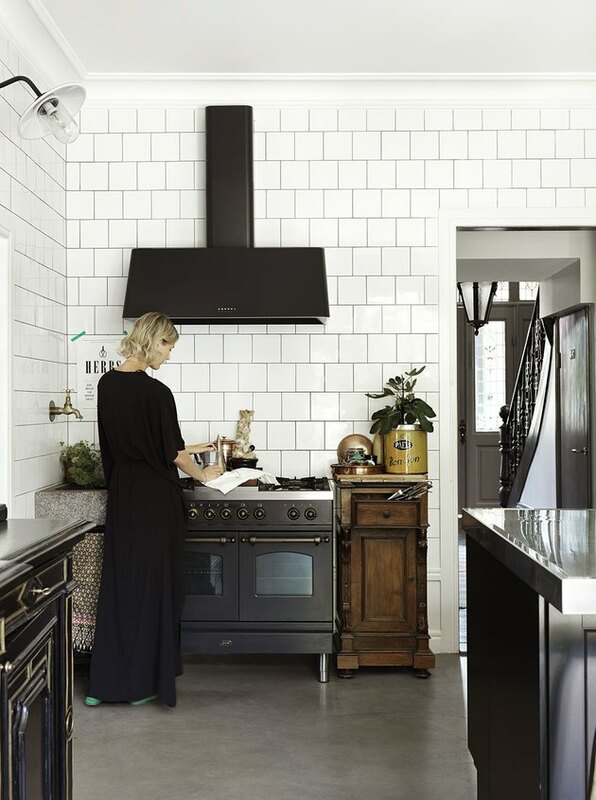 Black stainless steel appliances are the new alternative to their usual go-to counterparts, and they're showing up in fashionable interiors like this kitchen spotted in Milk Decoration. It's a more contemporary take on black appliances, without the finger prints (and 80s vibe) of shinier finishes. We've seen marble become the countertop choice for stylish kitchens everywhere in recent years, but now the material is popping up in other rooms of the home — as accessories and accent pieces. Not only does it make for a stylish and versatile detail, like the vintage one shown in this vignette from Leanne Ford Interiors, but it's also a more cost-effective way to show the material. 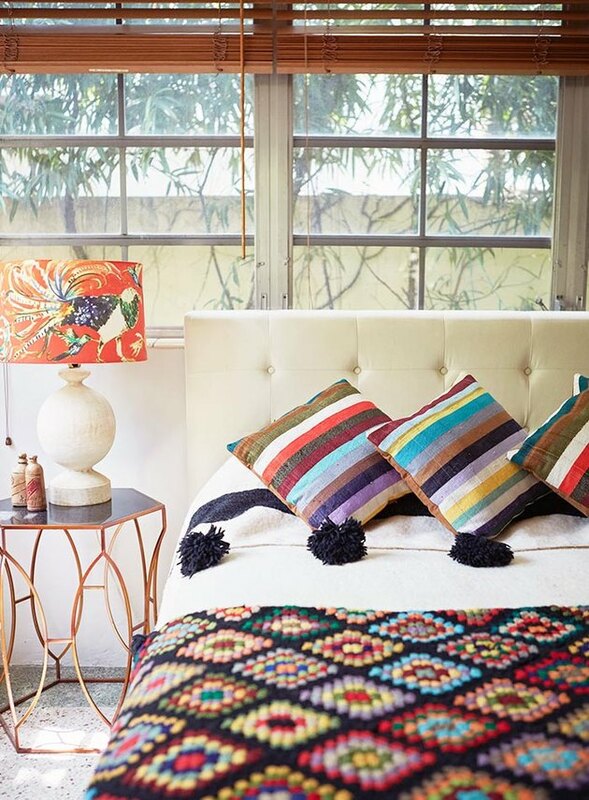 That blanket your grandmother made has long had sentimental appeal, but now it's stylish in its own right. It's so unpretentious that it actually becomes chic, like this one shown in the Miami home of photographer Mary Beth Koeth in Design*Sponge. Faceted tables and accessories introduce an unexpected silhouette into a room that feels so much more modern than the clean-lined minimalist look that's long been in style. 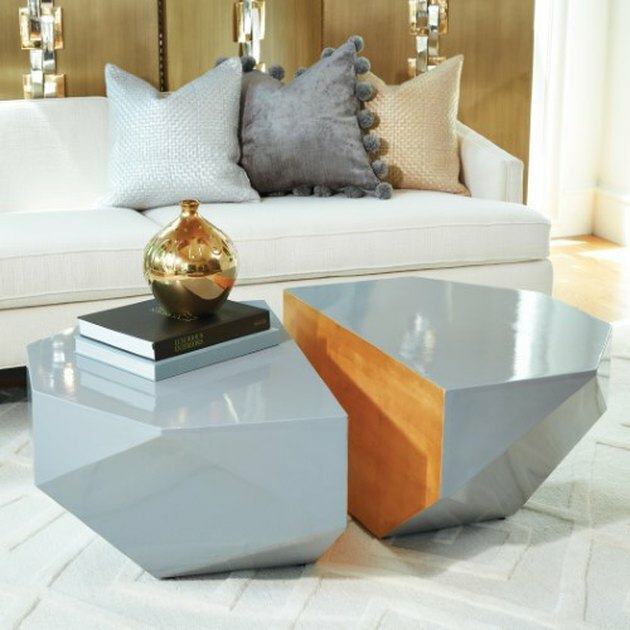 The massive scale and gold-dusted interior of this coffee table by Black Rooster Decor is a fantastic investment piece. Cement is a trend that's slowly made its way from outdoor furniture, to kitchen countertops, to flooring over the years. And this year, it's showing up in accent pieces. This straight-forward, strong material provides a smooth and sturdy texture to a room that you can't help but notice — like these pedestals by CB2.